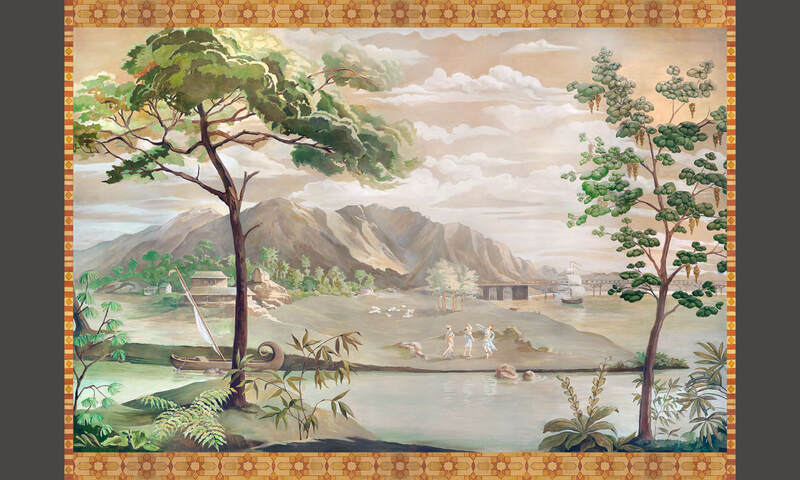 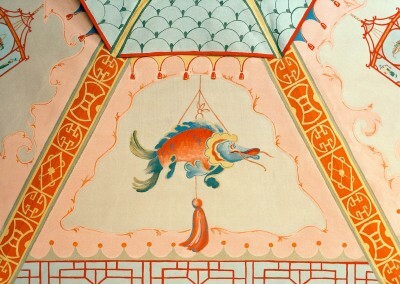 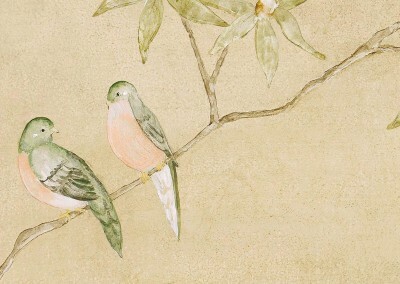 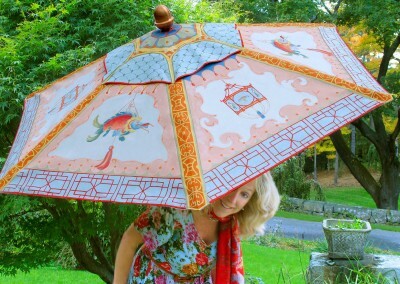 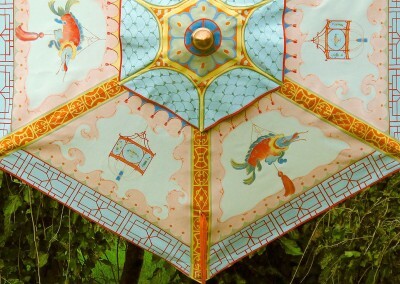 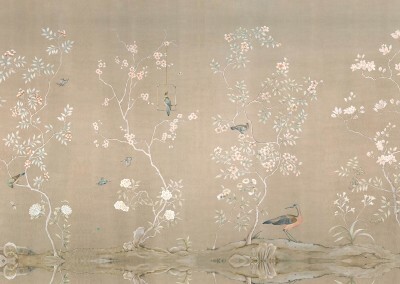 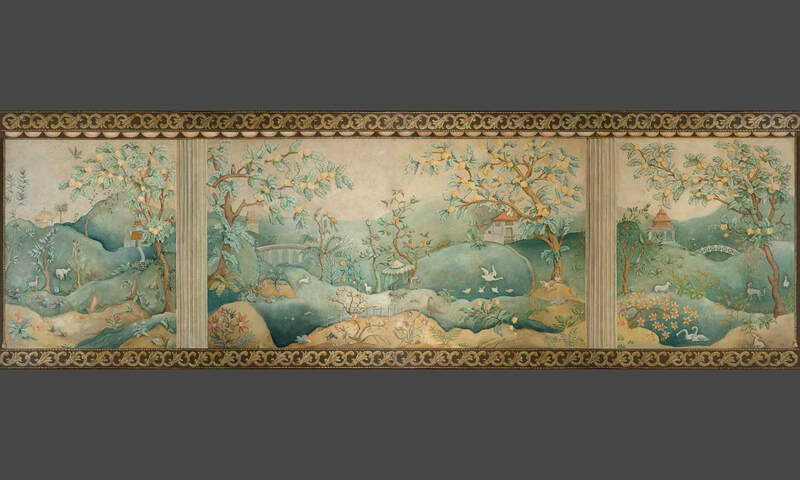 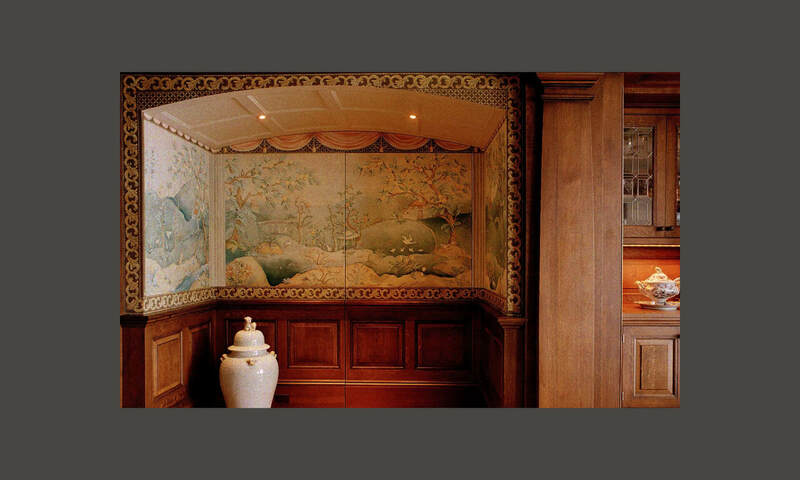 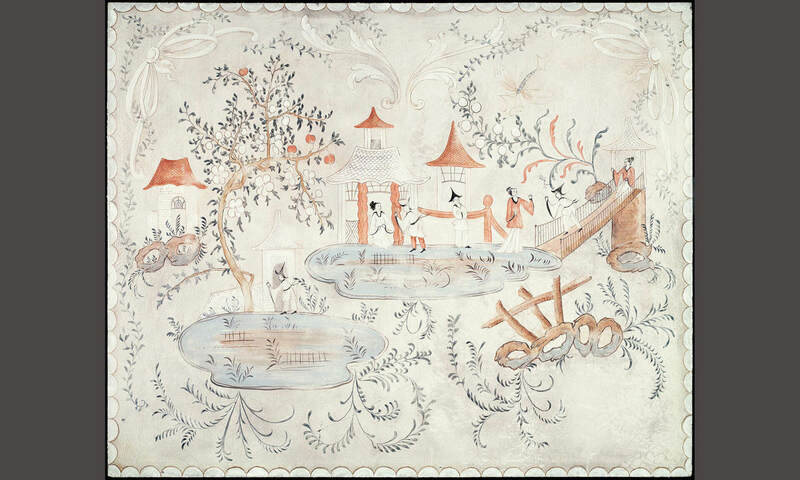 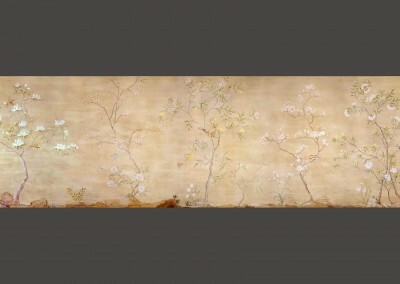 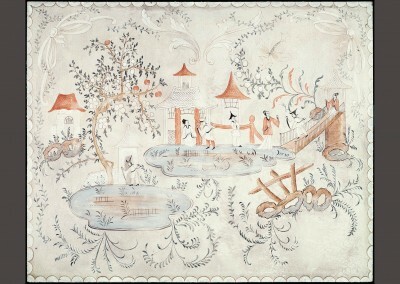 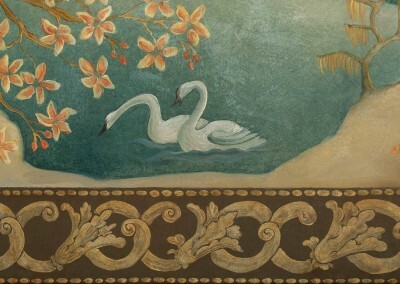 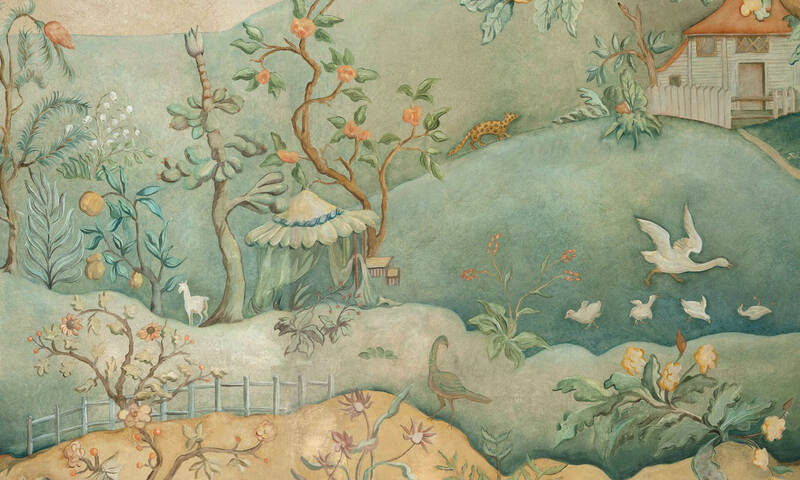 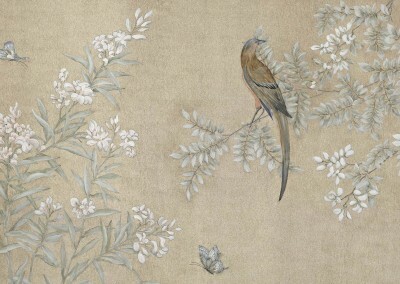 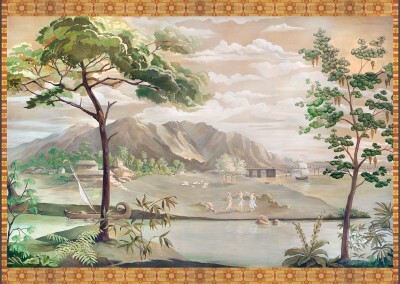 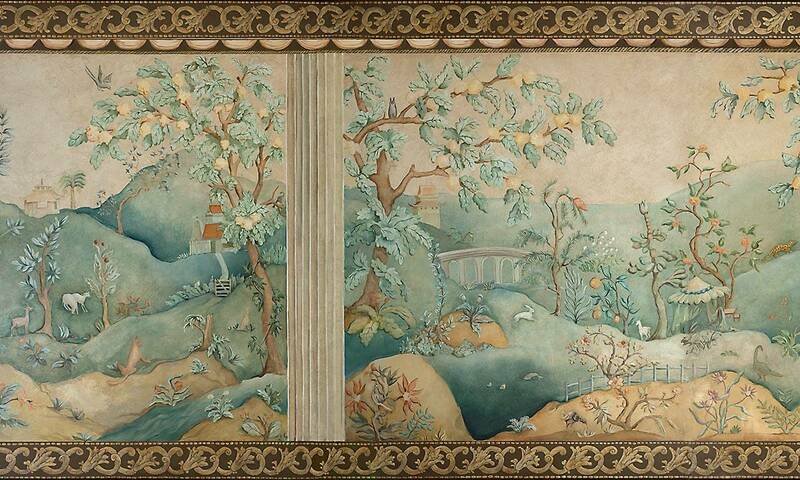 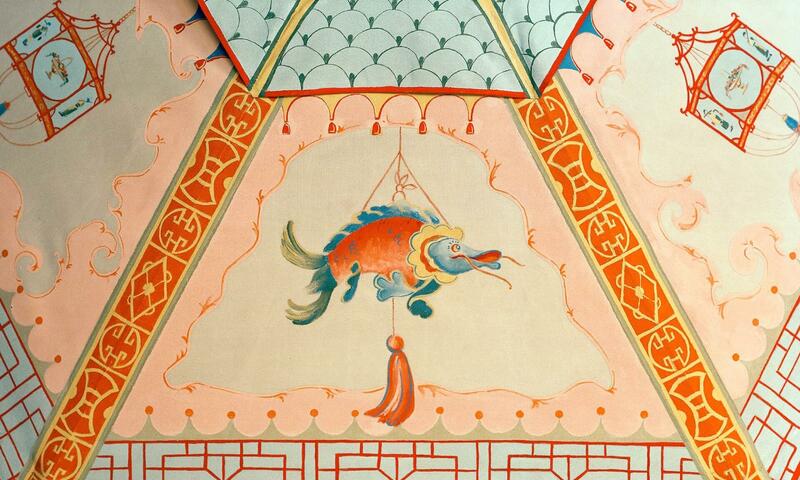 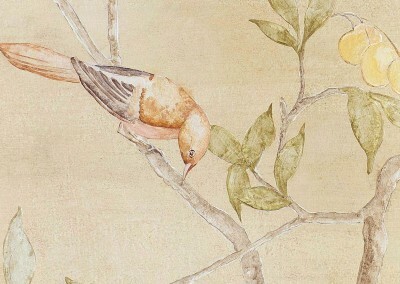 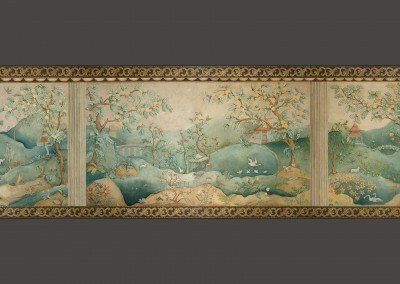 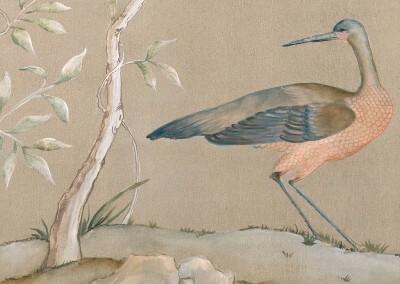 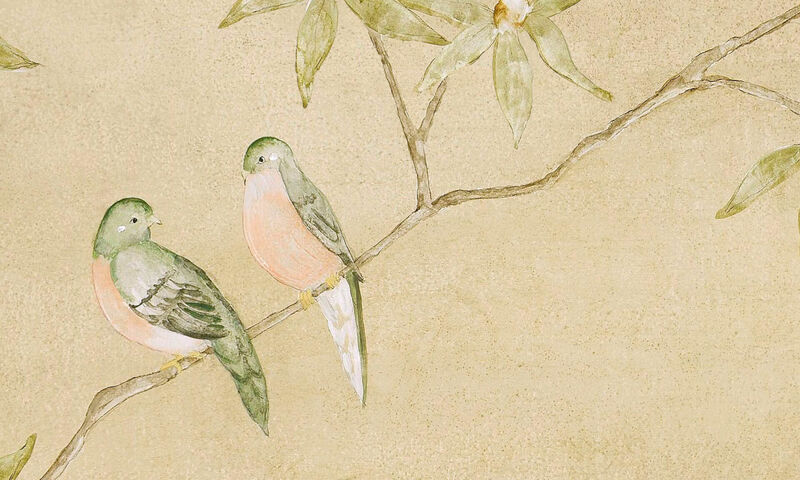 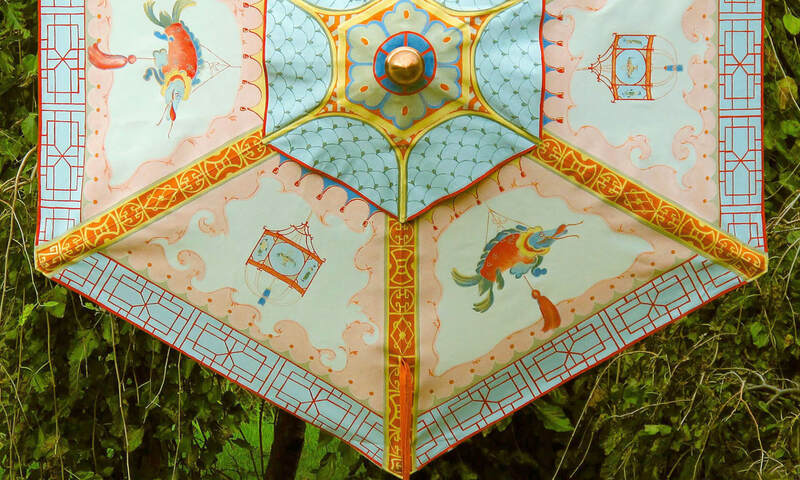 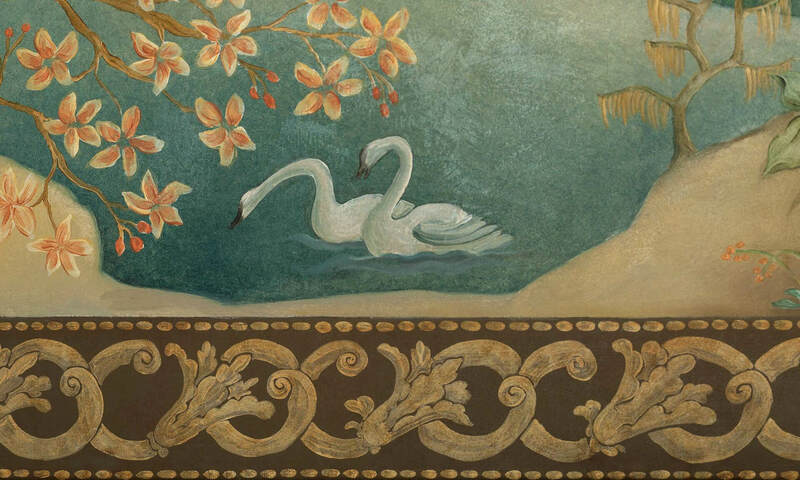 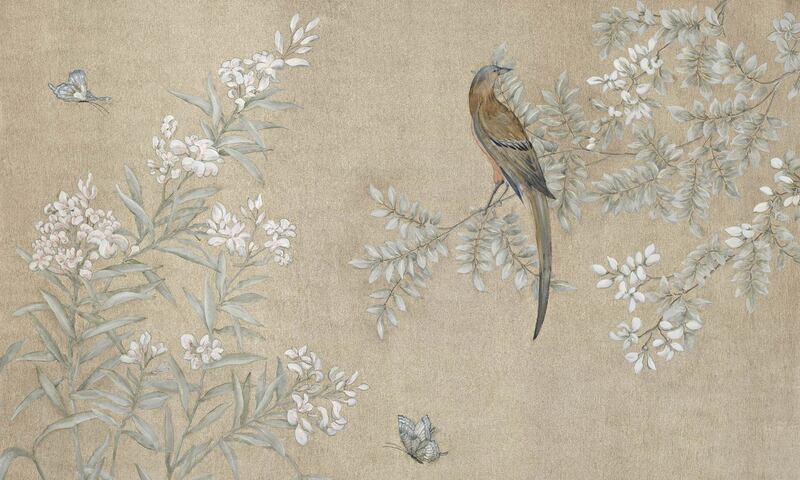 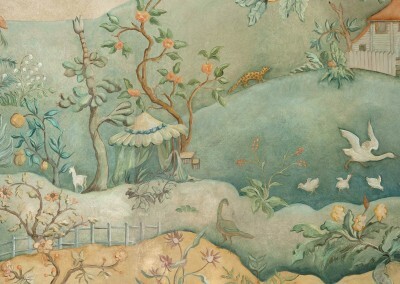 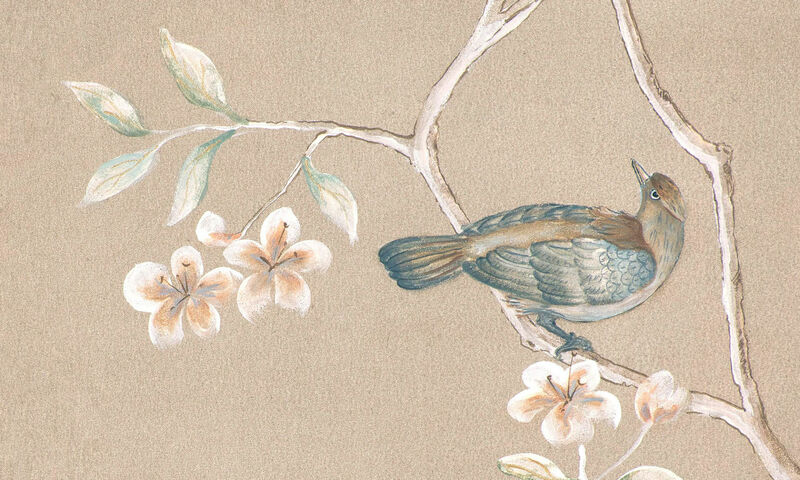 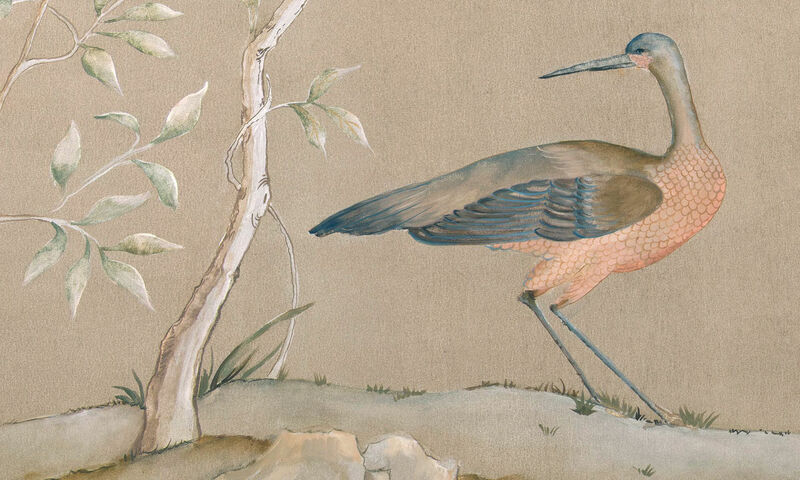 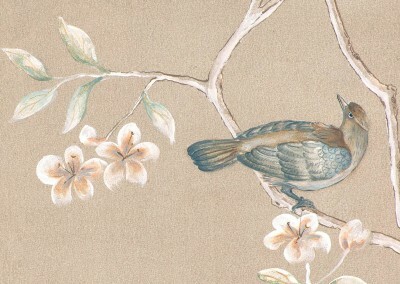 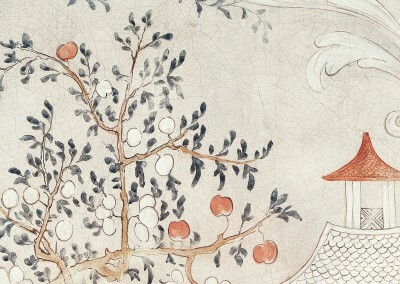 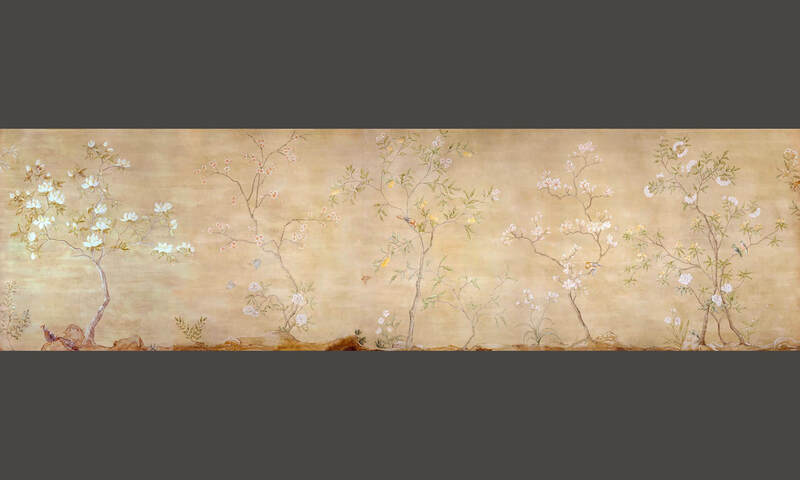 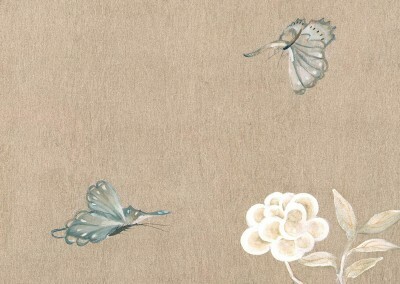 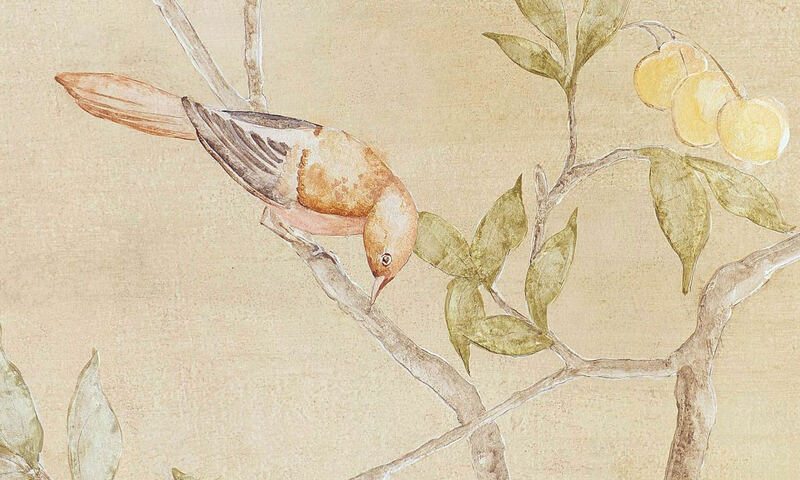 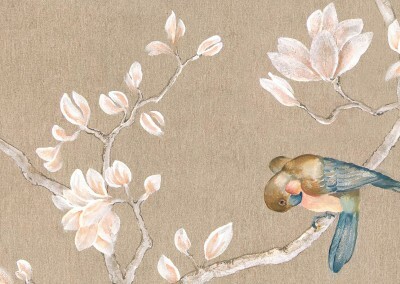 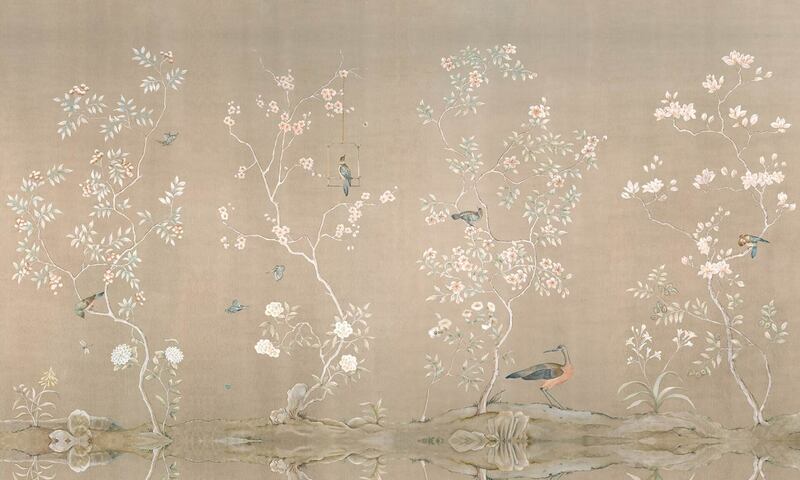 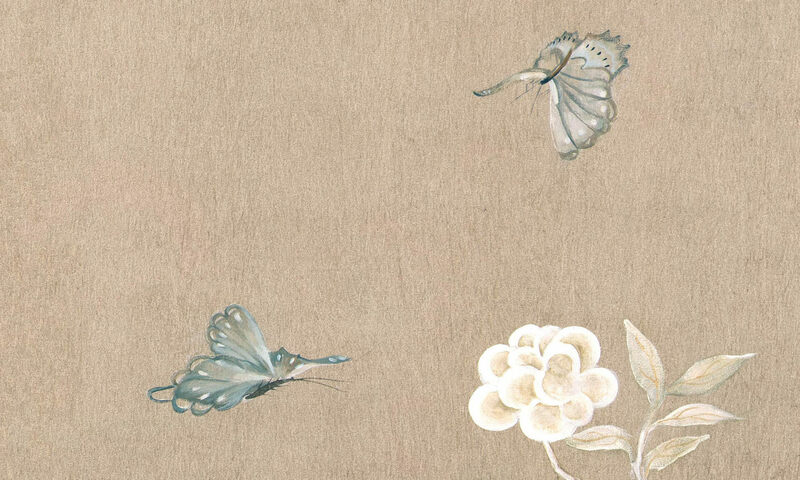 Chinoiserie (MU2011) : Hand painted Chinoiserie mural on canvas, measuring 15 feet long. 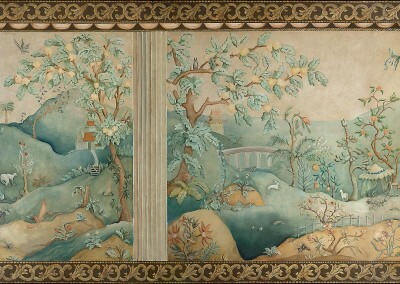 The original was created for the Wenham Museum Designer Showhouse 2011 in 4 panels. 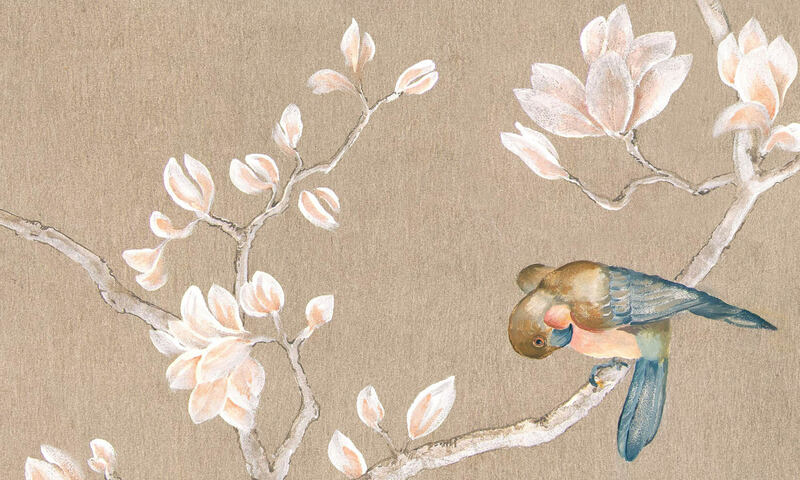 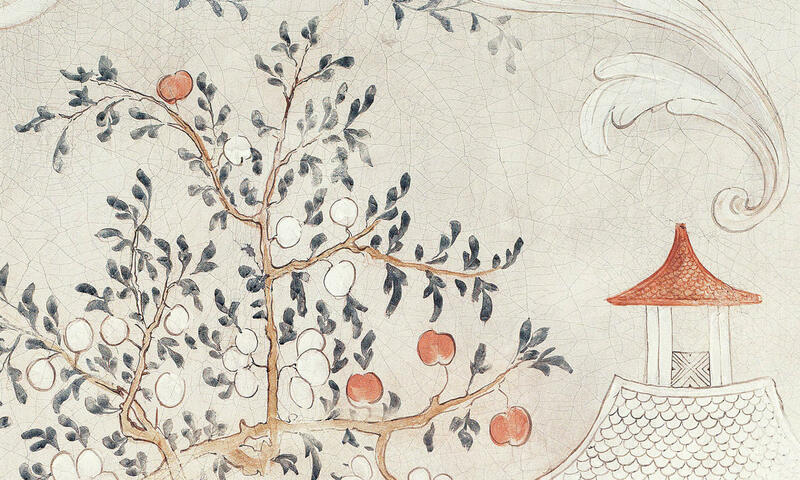 It is available on wallpaper, canvas or etching paper. 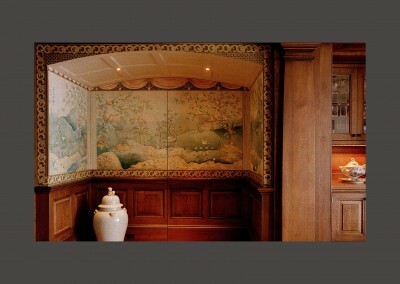 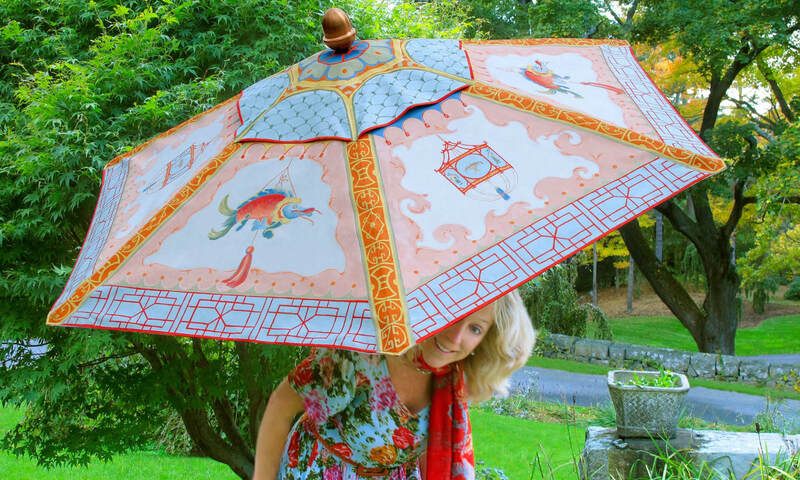 Ozz-Chinois – Installation Manchester, MA.